...or maybe you love them because it's a chance to actually get them in the right place! I have been challenged through the Wednesday night bible studies at my church (led by my husband actually) to be intentional about spending time with God at least once every day. I don't want it to become a legalistic thing, but more of an encouragement for me! Have you ever wondered what God would say if you heard Him audibly speak to you? I recently discovered this lovely little devotional book full of love letters from God to his daughters. And let's be real here, what girl doesn't absolutely adore love letters? Now I know that these are human written letters and not actually from God himself, but they are very biblical and oh so beautiful. 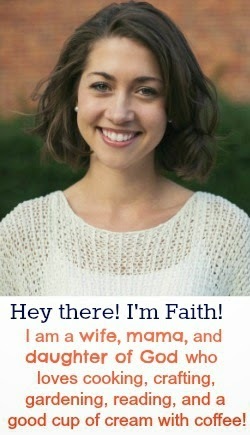 I think they give a very good idea of how God actually feels about you...his daughter! I chose you before the foundation of the earth to be My princess. You are royalty even when you don't feel like a princess. I will wait for you until you are ready to start living the amazing plans I have for you. I know you don't know where to begin or how to become what I've called you to be, so let Me teach you day by day. Start by recognizing who I am: King of kings and Lord of lords. The Lover of your soul. When the two of us meet alone together every day, I will show you how to let go of the things in your life that are holding you back from the blessings I want to give you. Remember, My child, just as I have chosen you, I have given you a choice to represent Me to the world. If you are willing, I am here to give you all you need to complete your calling. *Copied from His Princess, 2004, by Sheri Rose Shepherd..